CCEDK will see a major overhaul in June, bringing customers several exciting new services! CCEDK has some big news! At the end of May we are closing our doors… to re-launch one month later with a new website and exciting list of new functionality, projects and partners. Our current trading engine will stop for good. Withdrawals will be possible throughout June, and afterwards upon request. When we open for trading on 1 July, customers will be able to use our new escrow facilities, crowdfunding, marketing and even issuance of assets on behalf of interested parties. 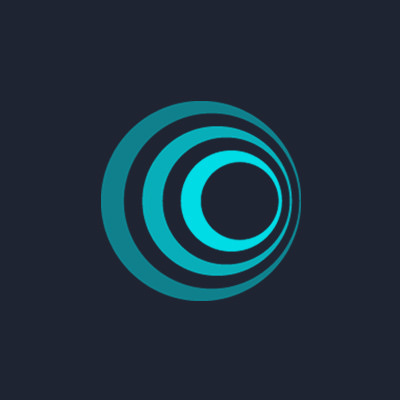 The CCEDK portal will act as the investment knowledge hub for the Decentralized Conglomerate, which currently includes Openledger, OBITS, BitTeaser and other blockchain-based projects. This is the landscape into which CCEDK steps. The company was originally founded as a crypto exchange, allowing users to convert bitcoin and fiat money into different virtual currencies. The sector changed rapidly, however, and it soon became apparent that CCEDK could serve its customers better by acting not primarily as an exchange, but a gateway into the world of the blockchain. Instead of merely profiting from fees on currency conversions – a ‘shovel-maker’ in the digital gold rush – the company could use its experience and knowledge of the crypto world to make a real difference. Central to the vision is the idea that blockchain technology has the potential to revolutionise the way businesses gain their first toe-hold in the market, as their entrepreneurs guide them from inception and start-up phase through to being profitable and established companies. ‘Our vision is to be the enterprise that best understands, and satisfies the product, service and funding needs of start-ups – globally,’ says Ronny Boesing, CEO of CCEDK. Page https://www.ccedk.com/dc/ccedk at the bottom 'Services' section, each service's description is just "short description. short description..."
Its coming, this is why we still have put the site in beta. Cool, what about services not related to an ICO? The blockbuster news on CCEDK launch! The Decentralised Conglomerate has announced the launch of their next project in the form Heuristically Enhanced Asynchronous Transactions (HEAT), a Blockchain 3.0 platform which has now officially started with the Initial Coin Offering (ICO). According to the official release, the Decentralised Conglomerate has already opened with a HEAT pre-ICO crowd-sale on OpenLedger by partnering with HEAT Ledger Ltd. HEAT is P2P decentralized asset ledger and is a new way of structuring cryptocurrency. This platform is built for custom private chains along with speed optimization and is designed for crowdfunding and IPO (Initial Public Offering) solutions. "To give you a brief overview of the tech scale we're operating in: the custom asset features Waves is striving to do, have long been possible with FIMK. The decentralized apps offered by Lisk will be possible with HEAT, plus a lot more. 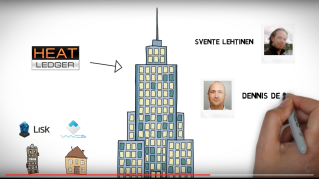 On top of it, all HEAT tokens are provided via attractive IPO structured commercial entity instead of the standard, simple ICO structuring," Svante Lehtinen, the project leader of HEAT said. And also check this great article on Forbes! HEAT has now entered into level 2 of their ICO. Here are our video to help you subscribe and trade! Now HEAT is on Level 2 by BTC. This amount of OPEN.HEAT is backed by the funds sent from one BTC wallet to the HEAT ICO BTC adress. This wallet is created by ICO Openledger (www.ICOO.io) and CCEDK only created to support the HEAT, the below are examples of these, more are available upon request. HEAT will then consequently be available to withdraw to its own wallet a few hours later than the original release. This procedure has already worked successfully with LISK, DGD and DAO, and i will be looking forward to see it on same way with HEAT. 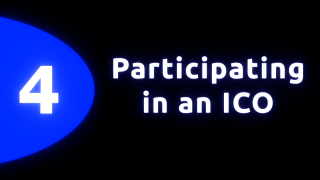 Investing in the ICOO, you are in fact investing in all ICO's introduced on CCEDK whether they are external ICO prelaunches or ICO's on OpenLedger, and with an expected 4 ICO's monthly picking only the best, there is a good chance an ICOO investor will quickly realize the value of holding this limited token of a maximum of 1 million. [Projects Corner] Session #1 - 25/7/16 Steemin' your way to crowdfunding with ICO and media coverage, or make money trying - Upvote to future success the blockchain way ! 3 Days left of the ICO of ICO OpenLedger (ICOO) - Welcome to Crowdfunding 3.0!